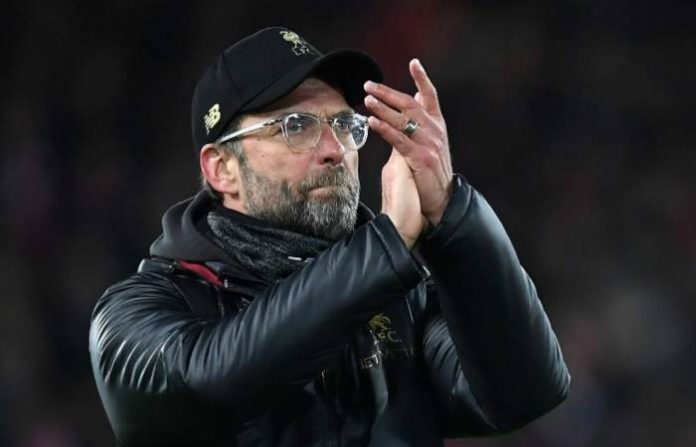 Liverpool manager Jurgen Klopp insisted his team were denied a “clear penalty” which could have given them victory over Leicester on Wednesday and a seven-point lead in the Premier League title race. Instead, Liverpool had to settle for a 1-1 draw at Anfield which gave them a five-point cushion over second-placed Manchester City, the reigning champions, who suffered a shock 2-1 loss at Newcastle on Tuesday. A Sadio Mane goal in the third minute was cancelled out by Leicester defender Harry Maguire’s equaliser in first-half stoppage time. 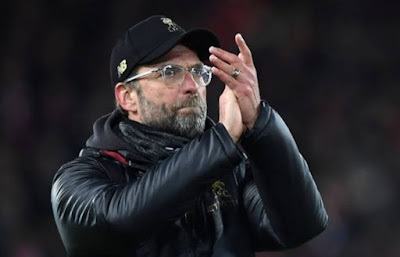 Klopp, looking to end the Reds’ 29-year wait to be crowned champions of England again, told BT Sport: “The opponent was well organised, very deep defending. “Our counter-attacks in the opening moments were defended more by the pitch than our opponent,” the German joked. Leicester manager Claude Puel had insisted before kick-off that his side would, as they had done before, raise their game against a leading club. And the Frenchman was vindicated by a battling display that left his team 11th in the table. “Of course I am proud of my players,” he said. “It was another difficult start to the game. We conceded after two minutes but we didn’t lose our structure.